Al-Tariq, the Palestinian Institute for Development and Democracy, is a non-profit organization dedicated to promoting sustainable development and democratic governance in Palestine. We work specifically on issues concerning women and youth, focusing on promoting a culture of non-violence and implementing development projects that strengthen the Palestinian citizen identity and lay the foundations for a future Palestinian state. We also play an active role in the local community and work as an advocate for greater co-operation among local institutions, as well as with national and international NGOs. The “Golden Fabric” project focuses on providing widows and women who are the sole providers of their households with sustainable income and a support network. The “Pioneers” program aims to promote a culture of community service among Palestinian youth, particularly university students, and helps students connect their academic experience with the work field. The “Creative Writing Center” will give emerging Palestinian writers the opportunity to participate in a weekly creative writing session for a year. جوليانو كان إنساناً يحمل في قلبه حلم الحرية والسلام، وعمل جاهداً في سبيل تحقيق هذا الحلم. لكن أعداء الحرية والسلام أي كان مذهبهم أو قوميتهم لم يكلوا من محاولة ثنيه عن طريقه فعمدوا إلى أجبن الطرق وقتلوه بدم بارد. لهذه الجريمة البشعة. لذا فحاجتنا إلى العمل الجاد أكبر، ومسؤوليتنا نحو حلم جوليانو وغيره من أنصار العدالة والحرية أعم وأعظم. Juliano Mer-Khamis was a human who carried his heart dream of peace and freedom in his heart and worked tirelessly for his dream to be realized…(more). This month we held our first set of Save the Water! advocacy trainings, an EU sponsored project, for villagers in Ras Karakar, Al – Janiya and Ein Ark, rural villages outside of Ramallah. Through our trainings we reached nearly 75 people 20 – 50 years old, with a strong representation of youth. The Save the Water! project will take place over the next two years and has two main goals; to teach the participants about advocacy, democracy and human rights related to water, and to build local village councils to advocate local and regional governments to improve the water and waste water management situation in Palestine. As a result of the trainings, participants will receive a certificate in water advocacy from Al Tariq…(more). Palestinian Young Leaders met at Al Tariq’s Resource Center in Al-Ram for the first Palestinian national meeting of 2011. These meetings give Young Leaders the chance to reflect on their experience in the Summer Academy, the December bi-national meeting with Israelis, and discuss internal issues in Palestinian society such as child smoking, education, honor, gossip and lack of extra curricular activites… (more). 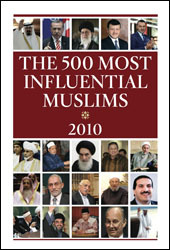 Al Tariq is proud to announce that Khaled Abu Awwad, our Executive Director, was chosen by “The Royal Islamic Strategic Studies Centre” as one of the 500 most influential Muslims in 2010. The Royal Islamic Strategic Studies Centre is an independent research entity affiliated with the Royal Aal al-Bayt Institute for Islamic Thought, an international Islamic non-governmental, independent institute headquartered in Amman, Jordan…(more). Palestinian and Israeli Young Leaders met in Bethlehem for a weekend of workshops, seminars, dialogue and bonding activities. This was the first time that most of the participants attended the 2010 Summer Academy were able to meet each other and participants of past Summer Academies. The entire weekend was organized by leaders that the Young Leaders had previously appointed, further empowering the young people and giving them the opportunity to work with the other side. The weekend started by sharing experiences in the Summer Academy and how participants lives changed when they returned to their different societies. Participants also participated in a “World Café” workshop, where they broke off into small groups and had important questions to discuss related to the conflict…(more).